All the prints below are Giclée prints. 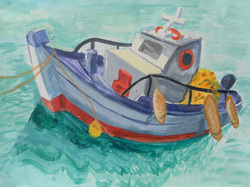 Giclée (pronounced zhee-clay) is a fine art term describing high quality, short-run prints. Often used to make reproductions of artwork. The prints look like the real thing with vibrant colours specially matched and printed on a high grade watercolour paper. This view of Alnmouth is my most popular piece and is a limited edition print from an original painting. Sold mounted on white or porcelain mount (please specify on purchase). This was one of the first paintings that I ever did! 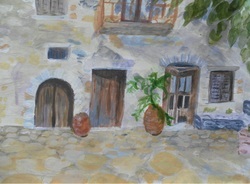 It was painted in beautiful sunshine sat on the sea wall in the fishing village of Paleros in Greece. 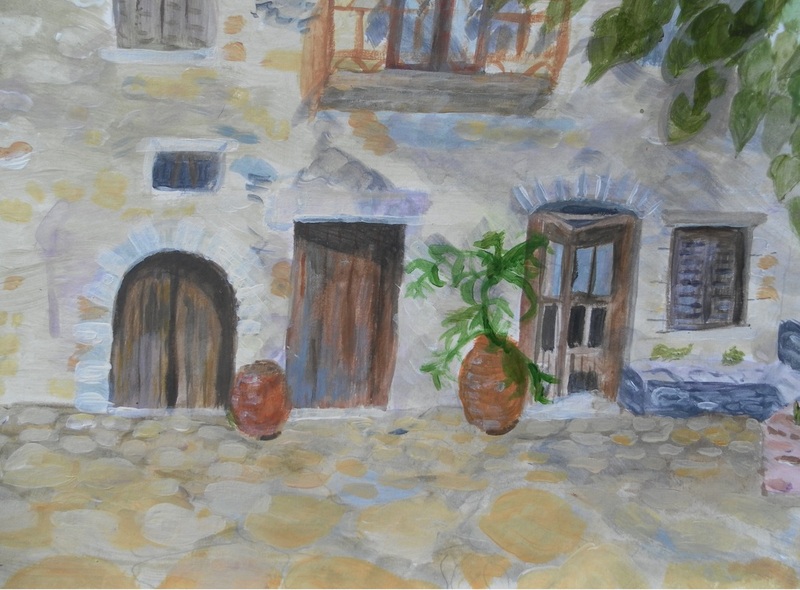 This was painted in Greece and caught the morning sun in the courtyard of a Tavern that came to life at night.